4 Pte. Hogg, William 875269 Canadian Infantry 28/04/1917 No Ref. 6 Pte. Watterson, Walter George 405715 Canadian Infantry 30/09/1916 No Ref. 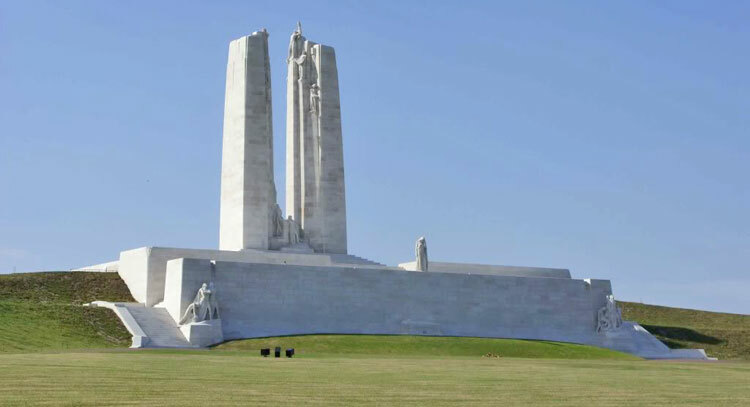 On the opening day of the Battle of Arras, 9 April 1917, the four divisions of the Canadian Corps, fighting side by side for the first time, scored a huge tactical victory in the capture of the 60 metre high Vimy Ridge. 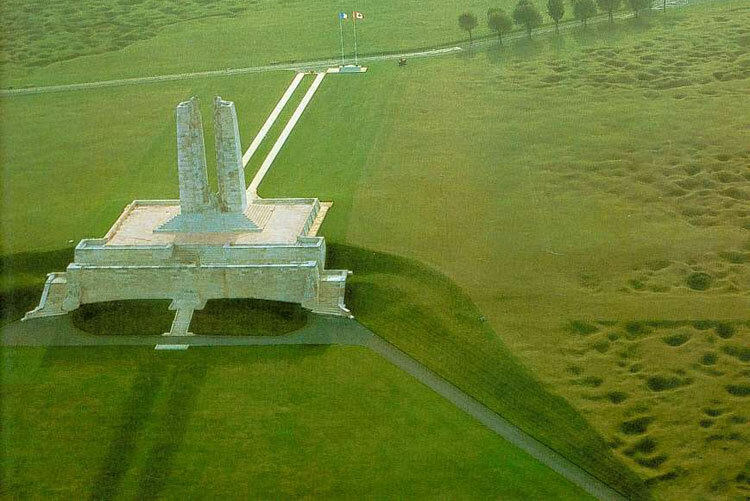 After the war, the highest point of the ridge was chosen as the site of the great memorial to all Canadians who served their country in battle during the First World War, and particularly to the 60,000 who gave their lives in France. It also bears the names of 11,000 Canadian servicemen who died in France - many of them in the fight for Vimy Ridge - who have no known grave. The memorial was designed by W.S. Allward. It was unveiled by King Edward VIII on 26 July 1936.